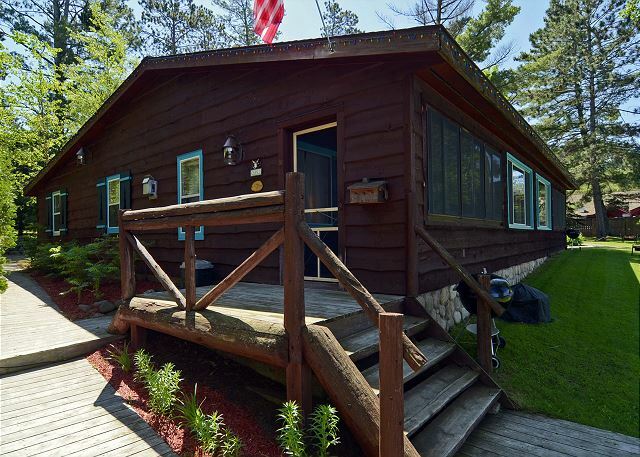 Spacious, like-new 3 bedroom vacation home rental on the clear shores of Round Lake! 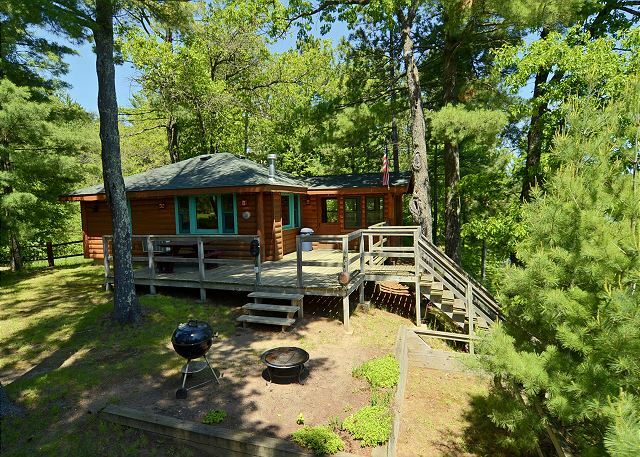 Located on a quiet peninsula with southeasterly views of Big Round Lake and bright, open layout; custom kitchen, large deck and main floor master suite. No Pontoon. 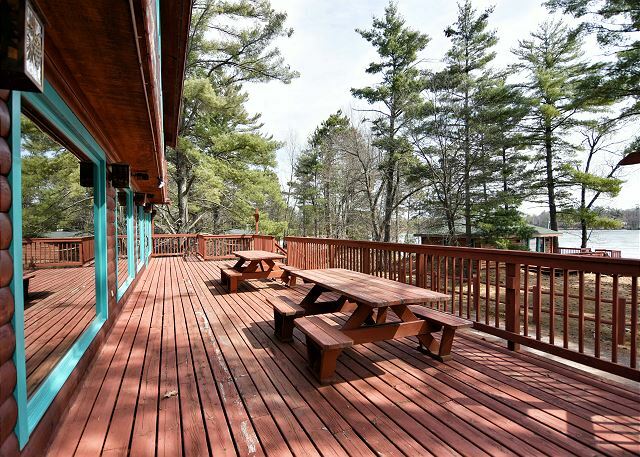 Chalet style vacation home rental in a peaceful and private setting on 2 ½ wooded acres on Little Round Lake. Close to LCO Casino with crystal clear water, excellent swimming off the dock and 160 ft of shoreline. New (2016) 21' pontoon boat! 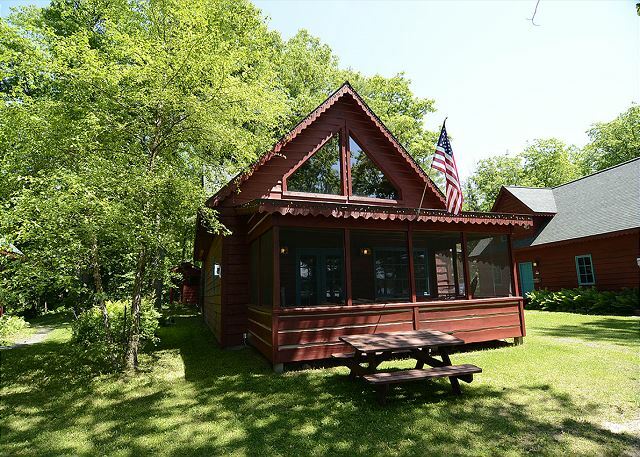 One-room honeymoon suite with one queen bed, lakefront on Little Round, screened in porch, single story, one bath, one fireplace. Pontoon included! 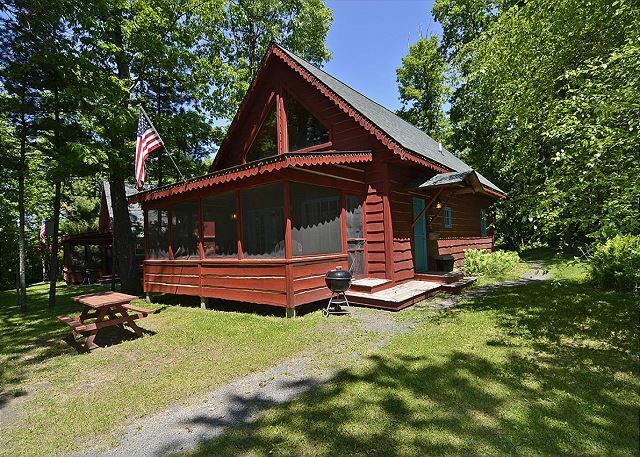 Two-bedroom deluxe with two queen beds, lake front on Big Round, single story, one bath with Jacuzzi tub and shower, two gas fireplaces. Sleeps up to 4. Pontoon included! 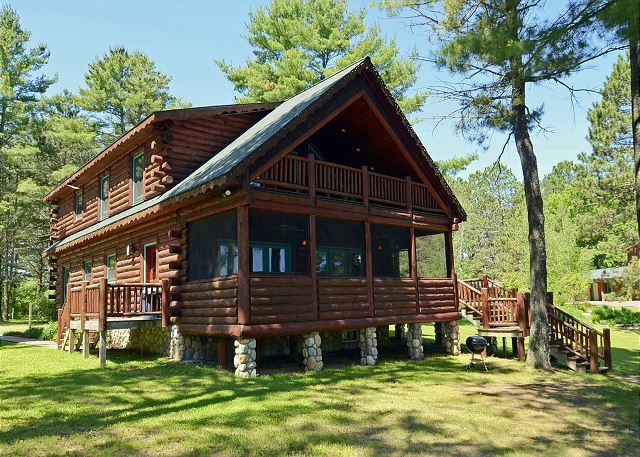 Three-bedroom deluxe with three queen beds and sofa sleeper, lake front on Big Round, single story, one bath, one gas fireplace. Sleeps up to 8. Pontoon included! 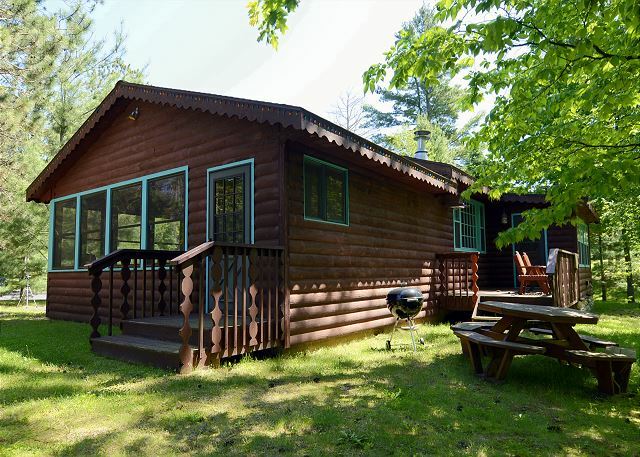 Three-bedroom deluxe with three queen beds, lake front on Big Round, single story, one bath with whirlpool jets, one gas fireplace. Sleeps up to 6. Pontoon included! 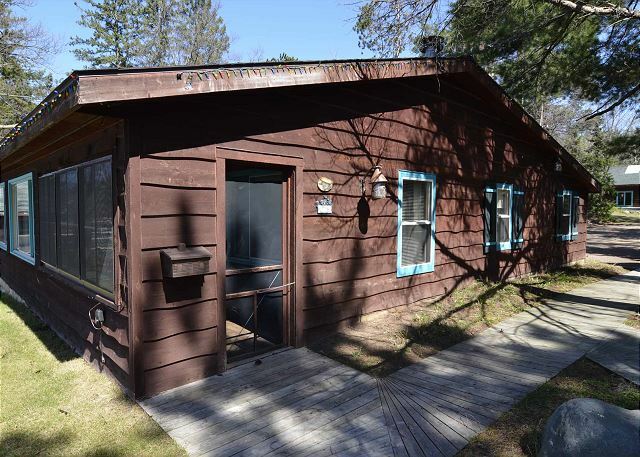 Three-bedroom deluxe with two queen beds, 2 bunk beds and sofa sleeper, off water on Big Round, single story, one bath, one half bath off the master bedroom, one fireplace. 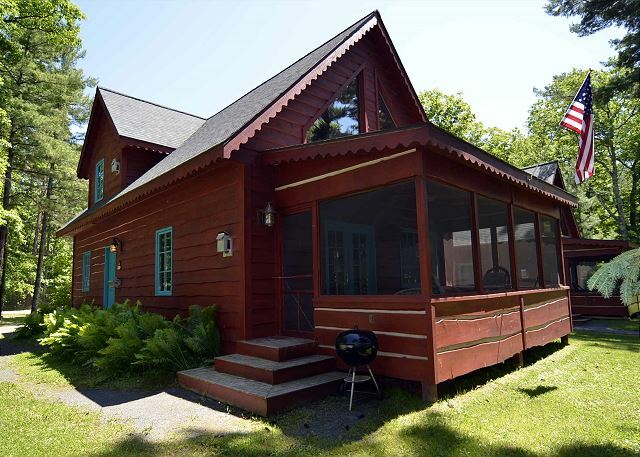 Three-bedroom executive with three queen beds and sofa sleeper, lakefront on Little Round, two-story loft, two baths with Jacuzzi tub in loft, two fireplaces.